Bamboo countertops have gained a lot of popularity in the recent times. Many interior decorators are preferring bamboo over convectional countertop materials such as marble, granite, quartz, tiles etc. It is because this material has its own unique charm. However, bamboo countertops are certainly an unusual choice. Bamboo countertops have a big litany of advantages. These countertops are environmentally friendly. Bamboo trees grow quickly and can be harvested every year without resulting deterioration or depletion of the soil. The availability of bamboo trees help in fighting deforestation, forest degradation and illegal logging. It is present in abundant and are readily available. This makes bamboo an environmentally friendly countertop material. Bamboo can be great as a countertop material. 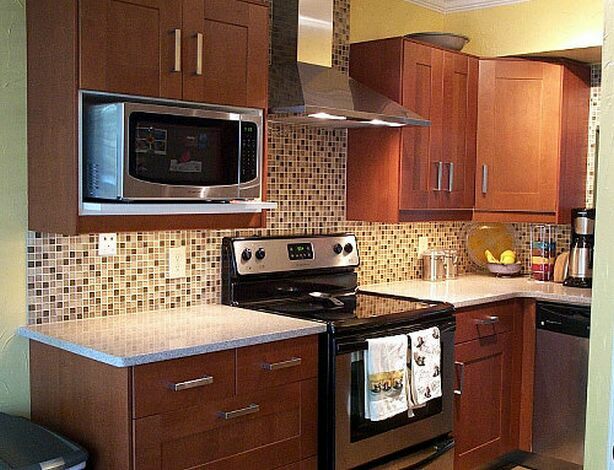 It is light to medium brown in color that looks beautiful in the kitchen. This material provides a rustic and classic appearance to the kitchen. You can even match your countertop with your cabinets. You can find various textures in the bamboo countertops, from natural wooden finish to customize designs. And the most fantastic fact about bamboo countertop is that it does not change as it ages. This countertop can look beautiful for a good number of years to come. When it comes to maintenance and cleaning, bamboo surfaces do not demand much. You just need soap and water to clean the bamboo surface. This countertop material does not get stained easily. However, cleaning countertop surface every day is a good practice to avoid stain marks. Bamboo countertops are economically friendly. This countertop material is a lot cheaper than popular countertop materials. Furthermore, the price of bamboo countertop depends on the length, width, quality and finishing of the bamboo. It means you can make adjustments according to your budget. In order to enjoy all the features that bamboo surfaces, it is important to purchase the countertop from a reputable manufacturer. You may find many bamboo countertop contractors, but instead of choosing any random contractor, you should opt for reputable countertop company. You will not only find better quality, but more styles when you choose a good countertop company. Are you thinking about kitchen renovations? Are you doing research on countertop materials? If so, then soapstone can be a good option to consider. Soapstone is an exquisite and exclusive product. It is apt for both bathroom and kitchen countertops. It’s quite surprising that soapstone countertops are getting a more popular among homeowners across the country. Soapstone is a natural stone that has a lot of benefits over other countertop stones such as granite, quartz and marble. Soapstone countertops are made from quarried stone. This stone contains magnesite, dolomite, chlorite and talc that made soapstone hard enough to bear daily wear and tear of bathrooms and kitchens. Soapstone comes in varying degrees of hardness. The softest type of soapstone is used for sculpting purpose while harder ones are used for tables, kitchen counters, fireplaces, tiles etc. Durability of soapstone is one of the biggest benefits of soapstone. It can be a beautiful lifetime investment. If you are looking for a natural stone that look beautiful, soapstone is for you. This is one of the reasons why soapstone countertops are so popular in country kitchens, although they display different styles from modern to traditional. Soapstone counters offer outstanding design versatility. Soapstone is a non-porous material. It can be cleaned with mild soap, sponge and water. It is a hygienic countertop and a very good choice for homeowners who enjoy cooking in clean environment. Soapstone is dug from the earth and simply customized to fit in kitchens. It is all natural and can be recycled. This material does not require any sealers or toxics. This means it is a totally environmentally friendly material. Soapstone is one of those countertop materials on which you need not have to worry about hot pot, spills etc. This material does not get damaged by heat or stains. So, these are some benefits of the soapstone countertop. To enjoy all the amazing benefits of the soapstone countertop, make sure you choose the right soapstone countertop company. Are you looking for great countertop options? Are you interested in trying unconventional countertop materials? Or do you simply need cheap and reliable countertop material? Well, if your answer is YES, below mentioned litany can help you out in selecting the best countertop material for kitchen island as well as bathroom vanity. 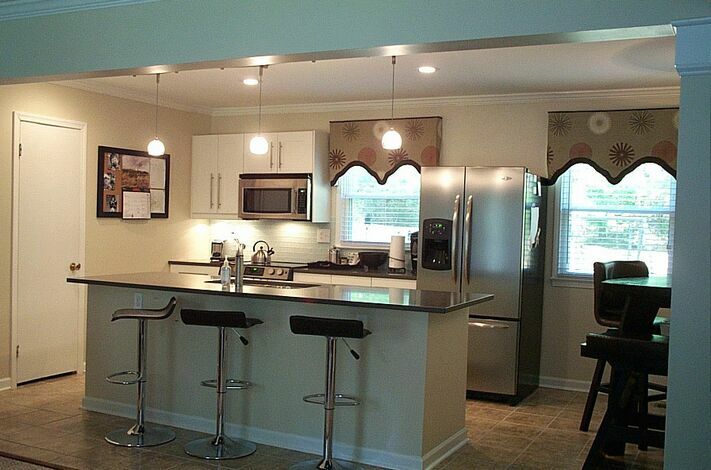 The acrylic and polyester countertops are gaining a lot of popularity, these days. 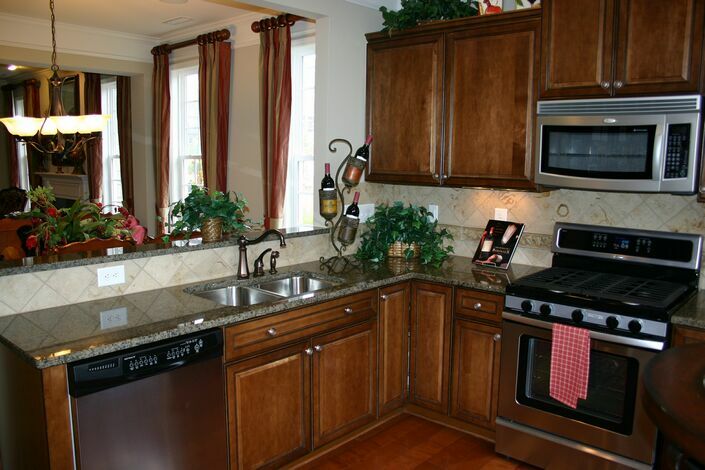 Solid surface countertops are highly resistant to stains and scratches. Unlike natural stone countertops, it is possible to repair solid surface countertops. These countertops literally come in 100s of color and pattern options. Plastic laminated countertops are one of the most durable and hard-wearing countertop materials available in the market. Plastic laminate counters are generally made from kraft paper. These countertops can survive many years. This material is apt for both bathroom and kitchen countertops. If you are looking for beautiful yet cheap countertop material, then ceramic tile countertops can full fill all your needs and requirements. These countertops come in varieties of beautiful patterns. But don’t expect long lasting services from ceramic tile countertops. But always select the best countertop company. Wood countertops can give classic look to your kitchen and bathroom. Many homeowners avoid wood countertops because of mistaken perception that wood can harbor germs. In fact, wood provide 99.9 percent germ free countertop surface. However, wood countertops demand a lot of maintenance. Concrete countertops look similar to natural stone countertops but they are available at cheaper price. They are more apt for bathrooms rather than kitchens. They prevent staining but are prone to cracking. So, these are the popular countertop materials available in the market. Always choose reputable countertop company for purchasing countertops. 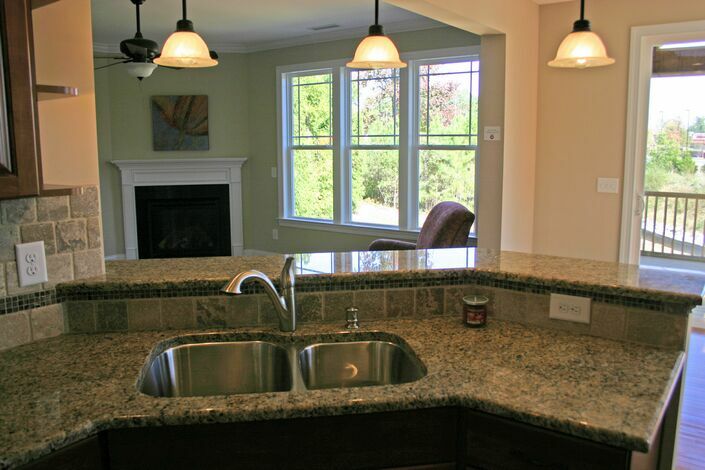 Good countertop companies provide installation facility and offer genuine warranty on sold product.